Not to long ago, I noticed an ant pile in my backyard---and when I looked a bit close, it looked like flies! But to my amazement, it was ants…..with wings! Hundreds of ants…….all with wings! Do you know why they sometimes have wings? If not, you are about to find out! Surprisingly, seeing ants with wings is pretty common, especially during certain times of the year. Did you know that at least some members of almost every ant species can develop wings and fly? Winged ants….which are also known as swarming ants, are looking to breed and reproduce. When it comes to the flying ants, they could be male, also called the drone, or female---the queen. Both of these are reproductive ants that are looking for a mate with who they want to breed with and create the next generation of ants. This is needed for their colony to survive. Most ant species do practice swarming—and usually it takes place in the spring and fall. With that said, there are even species of ants that mate in the summertime or other times during the year. 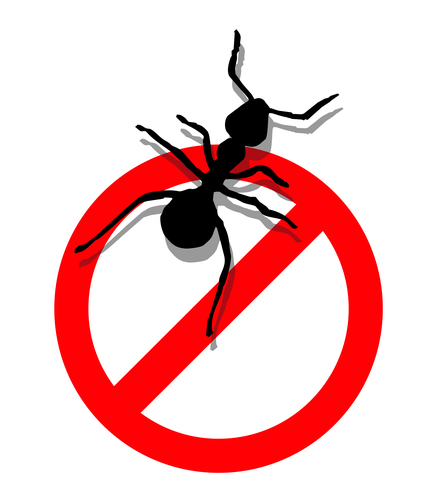 If the ant species does not swarm, then they will not have any winged members. So in order for their population to increase, budding must happen.